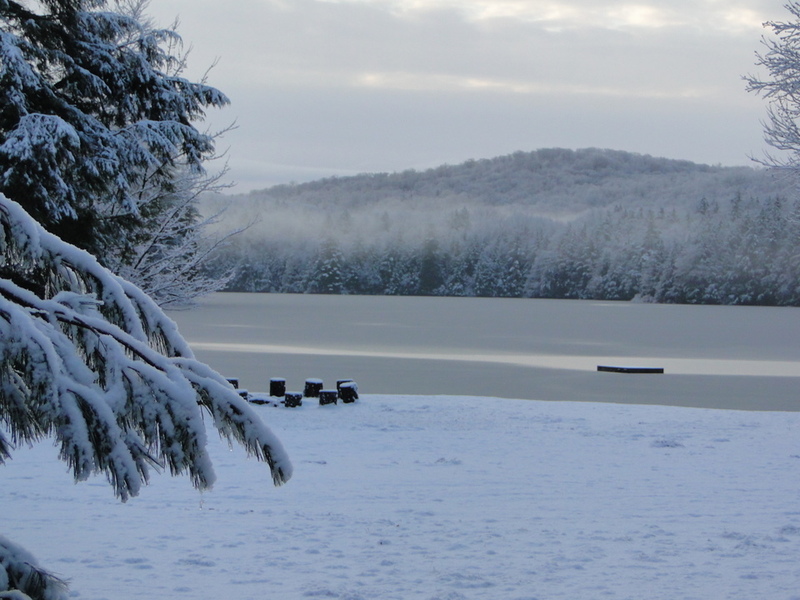 Lapland Lake and Garnet Hill both opened for skiing today on limited terrain with thin, early season conditions. Kudos to Lapland Lake for offering a half-price ticket ($10) today, helping to take at least a little of the sting out of our lack of snow so far this season. Also, best of luck to Garnet Hill as they start the season under new ownership. 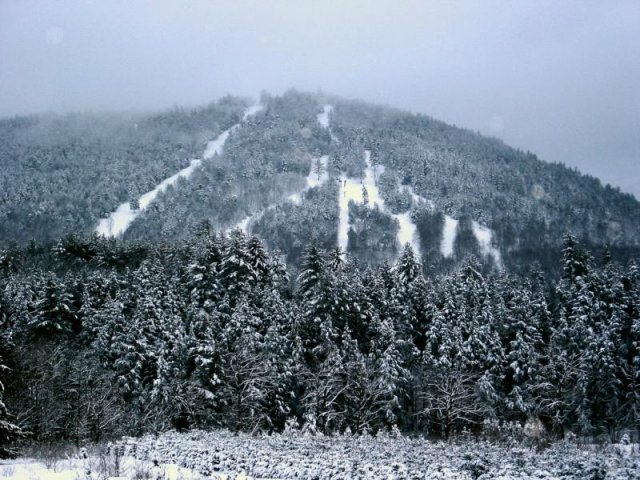 Mount VanHoevenberg in Lake Placid had been open earlier this week, but remains closed today following Tuesday night’s rain. Just a couple inches of snow should allow them to re-open some trails. If it's not going to snow, at least we've had weekend after weekend of sunny, crisp blue skies. That lack of snowfall must be keeping people away, because crowds were surprisingly light at Gore Mountain today, the day after Christmas. That's too bad, because there's good skiing on the mountain. 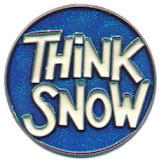 How YOU can help make it snow NOW! I wouldn't blame you if took today off, thinking Thursday's rain and warm temperatures would mean marginal ski conditions. I wouldn't blame you (well, maybe a little) if you were just too busy on the final weekend before the holidays to ski. I wouldn't blame you, but you would have missed an excellent day on the ski hill. Cold, windless and clear. A bluebird day. On the second run of the day at Whiteface yesterday, my right ski became suddenly and strangely no longer attached to my ski. Unlike traditional alpine skis, the telemark gear I use doesn’t actually release from your boots if you fall. If it does release, it generally means you've got a major problem. So when my ski released for no reason near the top of Victoria (aka Lower Cloudspin), I wasn’t surprised to discover that the binding cable had snapped. But instead of being a day-ender, that equipment failure proved to be the catalyst for a great ski day. More on that in a minute. Today was the kind of day you just had to be outside: blue skies, temperatures in the upper 20s, and a coating of snow on the mountain to brighten the landscape. I wasn't sure what to expect at Gore this weekend. We had taken last weekend off because the expected conditions (basically a repeat of opening weekend) didn't really seem to warrant rearranging our family's schedule to squeeze in a day of skiing (now that's not something you'll hear me say often). Since we've finally gotten into a several day stretch of favorable snowmaking temperatures, it seemed like Sunday would be the pick of the weekend, allowing the mountain to get in an additional day and night of snowmaking. That strategy paid off with nice skiing surfaces, great weather and minimal crowds. The Saratoga North Creek Railroad's Snow Trains are set to begin rolling later this month, and recent press coverage (Saratogian, Times Union, and Post-Star) about the railroad's success during its first several months of operation prompted me to dig out photos from my January 1991 trip aboard the Denver to Winter Park, Colorado ski train. The combination of spectacular scenery with fun and relaxing travel (coffee and pastries in the morning, cocktails in the afternoon), plus a great day of skiing, was fantastic. The fact that I'm something of a train buff put the experience over the top. If you've lived in the Saratoga - Glens Falls region for any time at all, you've undoubtedly heard about Double H Ranch in Lake Luzerne. Double H receives universal praise and wide community support for their Summer Camp, Adaptive Winter Sports Program, and Spring and Fall Family Programs for children with life-threatening illnesses and their families. Co-founded by Charlie Wood and Paul Newman in 1993, Double H has served thousands of children, all completely free of charge. But the part of the Double H story that caught me by surprise is the overwhelming enthusiasm of its volunteers. You can learn more about Double H's Adaptive Winter Sports Program, including how you could volunteer, in this short article that I wrote for Adirondack Almanack earlier this week. Photos courtesy of Double H Ranch. Thanksgiving Day may be synonymous with overeating, but there's no guilt attached when the turkey is preceded by a morning race. The Christopher Dailey Turkey Trot has become a Saratoga Springs Thanksgiving tradition, and a record 3,000-plus participants turned out for the 10th annual running, including Beth and me. Thanksgiving weekend is of course the traditional start of the ski season, and the 10 inches of snow that fell at Gore Mountain Tuesday night helped to whet our appetites for more than just turkey. But November hasn't been kind to skiers: warm temperatures have made snowmaking operations marginal to non-existent. 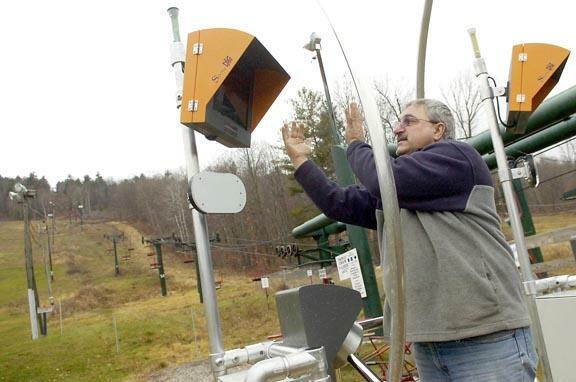 If you’ve seen Gore Mountain’s announcements this fall or read my Adirondack Ski Season Preview, then you already know about the 130 new high-efficiency tower guns that have been installed on Sunway, Sleighride, Quicksilver, Otter Slide, 3B, Sagamore and Wild Air. The new guns are a big deal: they represent the single biggest upgrade to the snowmaking system since tapping the Hudson River 15 years ago. On Friday morning I met with Mike Pratt, Gore Mountain’s General Manager, to talk about Gore’s snowmaking operations and take a tour of the mountain, just as crews were shutting down the guns following the first night of snowmaking operations. Mike: Last night was our first night of snowmaking. We ran more than 80 guns on Topridge, Sunway, and Quicksilver. We’re shutting the system down for now (9am) because the temperatures are warming up, but we’ll start back up late this afternoon and run through the night again. Jeff: What’s the plan for opening day? Phil Brown takes a look at new slide routes in the High Peaks created by Tropical Storm Irene in his article New Adirondack Slide Guide on Adirondack Exporer. New backcountry ski trails have been created in the Siamese Ponds Wilderness area around North River over the past couple of years. Bill McKibben writes about the new routes here in Adirondack Life. Also be sure to also check out this interview with Ron Konowitz, the only person to have skied all 46 of the Adirondack High Peaks for some inspiration. It's probably fair to say that Street and Nye aren't climbed by anyone but aspiring 46ers. There's no maintained trail, and both peaks have wooded, viewless summits. Nye isn't even a "real" 46er: its summit is now listed at just 3895'. But a beautiful, crisp pre-winter day not only made the hike interesting, it gave us some great unexpected views to boot. Hiking at this time of year poses some real difficulties: shortened daylight hours, cold temperatures, trails that are often more ice than snow. With those challenges in mind, Beth and I had been holding Street and Nye as a late fall hiking option since its relatively short distance (just 8 miles round trip) made it easily doable in a short day. 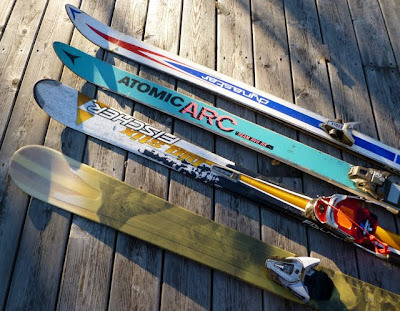 Should New York State be in the Ski Business? OK, I'm not really asking the question. 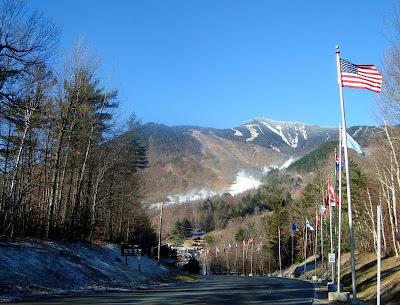 Rather, the question mark in the title is simply a recognition that New York State's ownership of Gore Mountain, Whiteface and Belleayre is a controversial and multi-faceted topic. 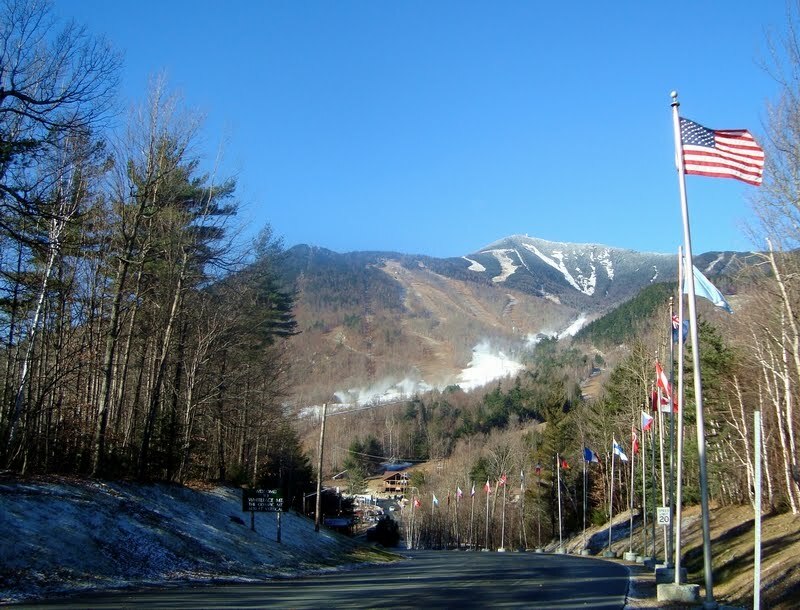 The Post-Star raised the question in an editorial last month, and suggested that taxpayers might be better served if New York's state-owned winter sports facilities, including Gore and Whiteface, were privatized. In my view, taxpayers and Adirondack residents are better served by finding ways to make the existing state ownership - through the Olympic Regional Development Authority (ORDA) - more successful. My counter-point to The Post-Star's editorial can be read here on the Adirondack Almanack, and here as a guest essay in the Nov. 6 Post-Star. Following is the fifth and final Season Preview Outtake. 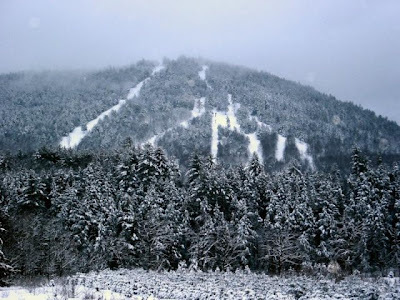 In this post, Whiteface Mountain's General Manager, Bruce McCulley, and ORDA’s Public Relations Coordinator, Jon Lundin, expand on some of the topics that we covered for my Season Preview article on Adirondack Almanack.com. Jeff: I know you’re doing quite a bit of work in the base lodge this year. Bruce: We changed the food in the J.Lohr café last year, it’s really high quality food but the kitchen is kind of marginal, so we’re renovating that. We’re bringing in new Rossignol skis from for the rental shop that will use rocker technology, and putting in a whole new racking system to organize the rental area better. We’re completely renovating the retail shop, it had been old and outdated, kind of dark. Jeff: How about snowmaking and grooming? Following is the fourth in my series of Season Preview Outtakes. In this post, Chic Wilson, owner and General Manager of Willard Mountain, talks about social media and summer operations, among other topics. Jeff: What kinds of changes are in store for skiers this winter? Chic: We’ve significantly re-graded the Bunnyhop trail. I can’t even begin to guess how much dirt we’ve moved to eliminate the flat section in the middle and make the trail more skiable. We’ve shifted the whole trail over to skier’s right and built it up by about 10 feet. It should make a big difference this winter, and we’ll do more work on it next year too. With all that work on Bunnyhop, we thought it would be a good opportunity to come up with a new name. So we reached out to our friends on Facebook with a contest, and the overwhelming consensus – 60% – was to keep it as Bunnyhop. Facebook has really allowed us to communicate and interact with our customers, to keep them engaged and feel like they are involved with Willard in the off season. 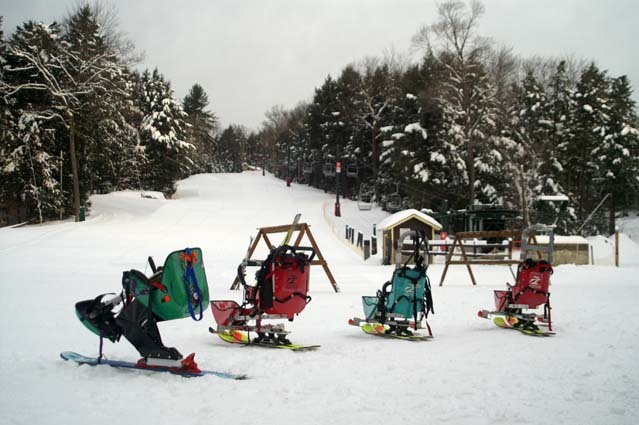 That’s one reason why we’re New York’s Coolest Little Ski Area. Bill Van Pelt's investment in Hickory Ski Center two years ago breathed new life into the ski area, allowing it to re-open after having been shuttered for four winters. In the following interview - the third in a series of outtakes from my Season Preview that ran in Adirondack Almanack last month - I talk with Bill about the progress that's been made at Hickory over the past two years, as well as where Hickory is heading. Jeff: There have been some really significant, visible improvements at Hickory since 2009, but the one question at the top of everyone's list is whether there will there be snowmaking at Hickory. That could be a real game-changer. I understand that you have approval to draw water from the Hudson River. It turns out that one of the nicest weekends of the summer fell in mid-October. With bright skies and temperatures in the 70s, the peak autumn foliage (at least at lower elevations) was just icing on the cake. Following is the second in a series of interviews with Adirondack ski area personnel. In this post, I talk with Mike Barbone, General Manager and owner of West Mountain Ski Center in Queensbury. Jeff: Last year you installed the new SnowDAG electronic ticketing system, how has that worked out for you? Mike: Some people resisted the idea of spending $5 on the card, but most people went along with it fine. It gives us a lot of opportunities going forward to make skiing convenient for our customers. For example, somebody could come over, park at the triple chair and make a couple runs – the RFID will allow us to do stuff like that. Why should somebody have to buy a full ticket when all they want to do is make a couple of runs? A lot of Canadian areas already use the RFID ticketing systems to do skiing-by-the-hour or even skiing-by-the-run. Now that we’ve got the system, we’ll move towards options like that. It’s all about convenience for the customer. For the past four seasons, Sunday River has been the first Eastern U.S. ski resort to open, and it is looking as though they will extend that streak. 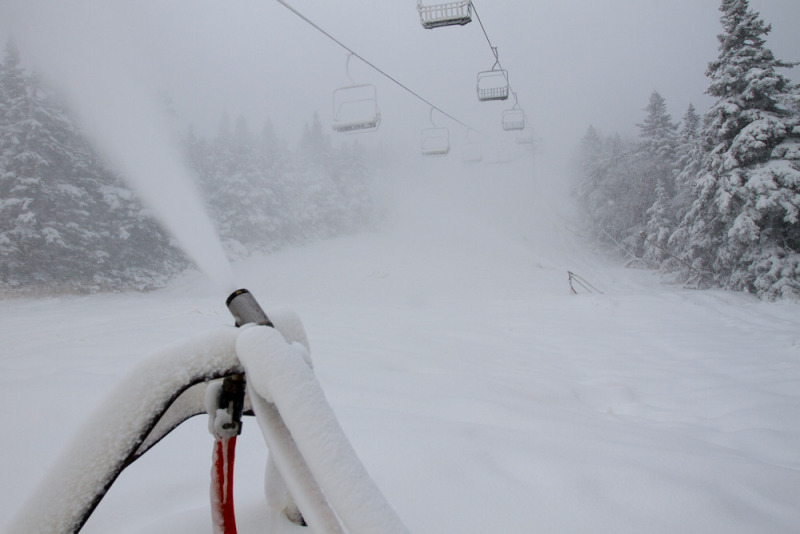 Last night and this morning, Sunday River fired 50 snowmaking guns in a pre-season test. If this short video clip doesn't get you stoked for the start of ski season, nothing will! Following is the first in a series of interviews with Adirondack ski area personnel. 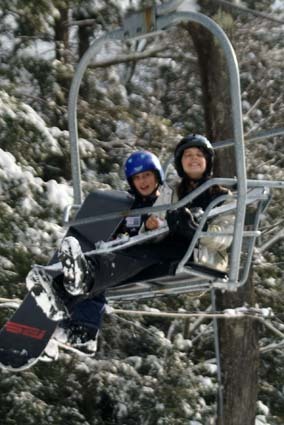 In this post, I talk with Gore Mountain's marketing manager, Emily Stanton. I've intentionally omitted the parts that have already appeared in my Season Preview article on AdirondackAlmanack.com. Jeff: The snowmaking improvements this year are really impressive. Can you give an update on the status of the 30 additional guns that are slated for Showcase and Wild Air? Emily: They have not been ordered, however they have been prioritized. There is still time, and we are hoping that order gets approved. Jeff: What details can you give on the new terrain at the Ski Bowl? Emily: There will be two new black diamond glades located north of the Hudson Chair. The northernmost glade will be named Ski Bowl Glade. The glade closer to the lift line will be named Hudson Glade. It will follow some of the historic Ski Bowl terrain, and will also provide a by-pass to 46er. They’re both going to be really nice, clean glades. 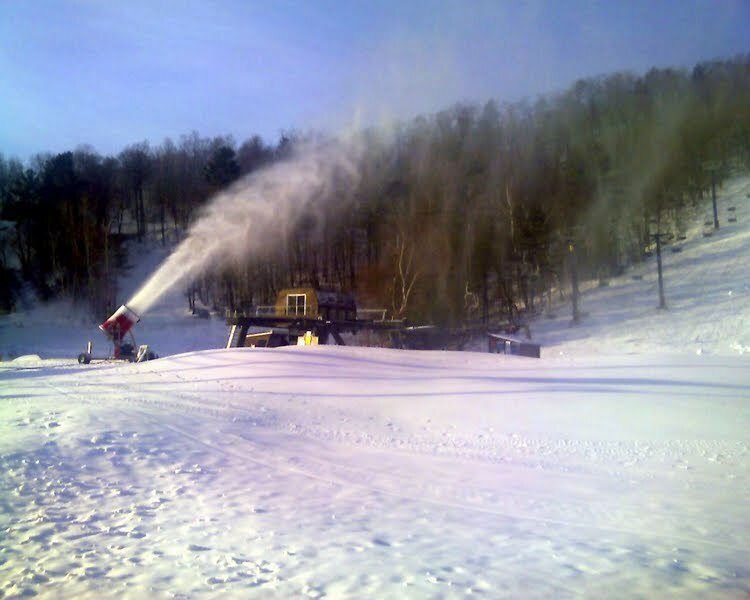 Jeff: Speaking of 46er, will that trail get snowmaking for this winter? You have the pipe on hand, right? With ski season less than two months away, I checked in last week with many of the region's downhill ski areas to find out what's in store for skiers this winter. My preview of the 2011-2012 ski season appears here on Adirondack Almanack. I ended up with much more material than I could use in the Almanack article, so I'll be posting a series of "outtakes" from my interviews here over the next several weeks. The first of those should be up within a couple of days. The original plan for this trip was to climb both Cliff and Redfield in a day, since both peaks use the same approach. Four hikers (Beth, Marcy, Judy and Judy's friend) met early at the Upper Works trailhead to begin the long hike via Flowed Lands and Lake Colden to the Uphill Brook lean-to, located just below the start of the herd paths to Cliff and Redfield at around 3200’ elevation. I may not have been the very last American to learn of the attacks on 9/11, but it felt that way. I was in the middle of a trip to climb the Grand Teton, and learned the news at about 9pm that night, in the dark, at our campsite on a remote, windswept saddle below the Grand Teton, at 12,000 feet elevation. A full account of that experience can be read here, though it’s really more of a mountaineering story than a 9/11 story. Because of our remote location, only the sketchiest of information reached us at all, leaving far more questions than answers. By the time we made our way back down to civilization, nearly two and a half days had elapsed since the attacks, and uncertainty had grown into full-on worry about family, friends, and the world beyond the trailhead. All trails from the Adirondack Loj trailhead, Garden trailhead, and Cascade Mountain Trailhead, among others, will reopen. All trails accessed from the Adirondack Mountain Reserve trailhead remain closed. All trails in the Dix Mountain Wilderness area and the Elk Lake trailhead remain closed. The Roaring Brook and Ridge trails in the Giant Mountain Wilderness area remain closed due to the continued closure of a section of Route 73. Note that the above list is not comprehensive, please refer to the DEC advisory published in Phil's blog and linked above for specific openings and closures. The DEC's High Peaks Trail Information web page will also be updated as trails are reopened. It’s always a treat to hike through the Ausable Club / Adirondack Mountain Reserve lands in Keene Valley. Although there are restrictions prohibiting camping, swimming, off-trail travel and dogs (sometimes overzealously enforced), and parking is more than a half mile from the trailhead, the benefits are worth the trade-off: easy access to the interior via the Lake Road, and well-maintained trails through some of the most beautiful old-growth forest in all of the High Peaks. When Beth and I left home Saturday morning, we had intended to hike Nippletop, but kept open the option of hiking Colvin and Blake instead. 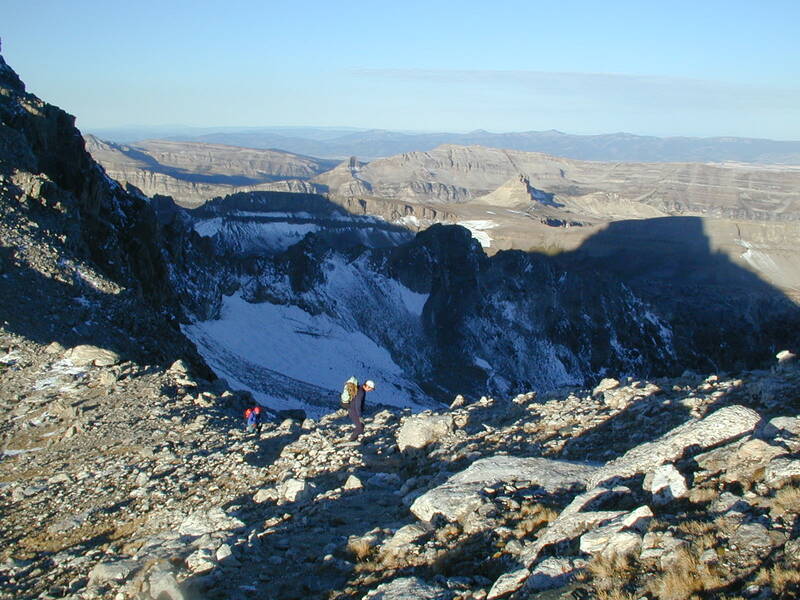 The approach is the same, with the trail splitting at about the 5-mile mark in Elk Pass: Nippletop to the left, Colvin and Blake to the right. Without a doubt, any of us would reverse the course of events that devastated New York and elsewhere on Sunday if only we could. The losses and pain inflicted by Irene are real, significant and widespread, and nothing can detract from that devastation. However, Irene is also the most dramatic and stunning example of the dynamic nature of the Adirondack environment in our lifetime. Literally overnight, dozens of new slides have been created in the eastern High Peaks region, dramatically altering the landscape. Earlier this evening, John Warren reported on Drew Haas' overflight of the High Peaks region in Adirondack Almanack, with additional images on Drew's Adirondack Backcountry Skiing blog. Both posts, linked above, are sure to be of interest to readers here. The Red Cross needs immediate volunteers for storm relief in northeastern New York, and is offering fast-track disaster relief training to volunteers who can assist in various aspects of the relief effort. Donate online to the Red Cross and specify that your contribution goes directly towards Hurricane Irene releif in northeastern New York. Text the word REDCROSS to 90999 to make a $10 donation. Beth and I were hiking in the eastern High Peaks region (Colvin and Blake) on Saturday, the day before Irene, and our hearts go out to all those who have been impacted by the storm in the Adirondacks, in New York, and beyond. Monday night was the final race in the Saratoga Stryders' Camp Saratoga 5K trail race series. Before the race even started, I knew I had essentially no chance of winning the Ironman Award for the fastest cumulative time over the 5 races. I was in sixth place after 4 races, and even though attrition plays a big role, I would need the 3 or 4 fastest guys to stay home to have even a fighting chance. But the Ironman Award was never my goal anyway – like most runners my only real goal was to run my best time. This is our fourth year of taking a week-long family vacation on the Cape, and each year we've rented in Truro, near Provincetown, on the outer Cape. The Cape Cod National Seashore encompasses much of this part of the Cape, in fact 70% of the land area of Truro is National Seashore. Our rental house this year backs up to National Seashore lands, and I was determined to find a way directly from the backyard through a hilly mile and a half of pine and scrub oak forest to the Atlantic. 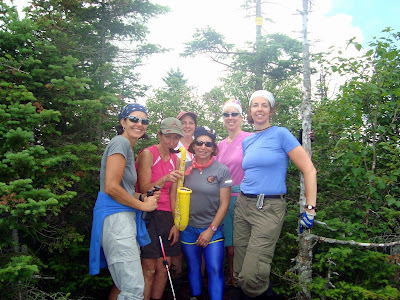 Following is the fourth post in a series about women hiking the High Peaks of the Adirondacks. An early start and use of the "new" Santanoni Express route allowed Beth, Marcy and Judy to complete a circuit of the rugged, trailless Santanoni Range in a 12-hour day. Following our Dix Range traverse last month, three of us planned an attempt at the three peaks of the Santanoni range. For Judy, with just 6 peaks to go towards finishing her 46, the Santanonis represented half of her remaining peaks. For Marcy and me, it was a chance to knock off another challenging group of trailless peaks. It doesn't happen often, but on Wednesday, July 27, the stars fell into alignment for Beth and me to have an entire day for outdoor activity together, without our 2 kids. The weather looked great, I scheduled the day off from work, and most importantly the kids would be at Grandma & Grandpa's house in Bolton Landing all day. Jeff: Ummm... Or we could do Nippletop, you need that peak too! Beth: No, I really want to get Allen done. Jeff: Or... We could go rock climbing. Beth's enthusiasm and resolve to check another peak off her list of the 46 Adirondack four thousand foot peaks is common among asipiring 46ers. And I can only blame myself, having encouraged Beth to finish her 46. What's more, I've been through this before with friends, who got caught up in "46er fever" after I finished my first round of the 46, and dragged me back to peaks I figured I'd never re-visit. Following is another guest report from my wife, Beth. She is really racking up the peaks this summer! It is the third in a series of posts about women hiking the High Peaks of the Adirondacks. For years, a group of women from New Paltz, NY and their extended group of friends have descended upon Keene Valley for 2 nights in July, to share a day of hiking or other outdoor recreation in the High Peaks. What started out as a chance for a group of moms to get away for a weekend of camping and hiking has inspired many in the group to pursue climbing all of the 46 highest peaks in the Adirondacks. Now, each year, it seems that some of the women finish the 46, or at least get a little closer. I was lucky to join this group of women this year, and connect with a great group of hiking partners. Jeremy Davis checked in recently with an update on his forthcoming book, Lost Ski Areas of the Adirondacks. As previously announced, the book is expected to be in print about a year from now, and will focus on the estimated 50 - 55 lost ski areas within the Blue Line. One of the challenges facing Davis is how exactly to define the Adirondack region. While there are a number of lost ski areas in areas just outside the park boundary, such as the Saratoga - Glens Falls region, Davis is holding to a cut-off at the Blue Line. As a result, Alpine Meadows will be in the book while Darrow's Farm Slope will not, at least at this point. 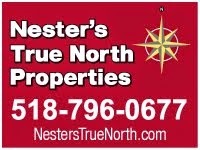 Both areas are located just outside Saratoga Springs. "Alpine Meadows is an intersting case," Davis explained. "It's actually 200 feet outside the park boundary but I'll count it. 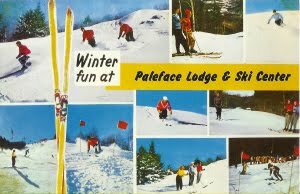 Heck, it was even called Adirondack Ski Center at one point. Darrow's will not be in the book as it is outside of the park, but will likely be in a future book on Hudson Valley/Capital District areas." The following is a guest report from my wife, Beth, and represents the second in a series of posts about women hiking the High Peaks of the Adirondacks. My husband Jeff has been an Adirondack 46er for more than 20 years, and has re-climbed them all several times over. Last summer he encouraged me to “restart” my 46 with less than twenty summits under my belt. Since he would rather be in the High Peaks, in any weather conditions, than ALMOST anywhere else, he is probably very happy that I've recently met up with an extended group of women friends who are all aspiring 46ers like me. If he can’t be out there hiking the big peaks with our young kids, then at least he can be living vicariously through my trip reports! I cheated on my wife today. No, not like that. I took the day off from work to catch up on a multitude of indoor and outdoor projects that needed attention around the house. She was home too, but left for a couple hours in the middle of the day to run some errands. While she was gone, unknown to her, I put down my paint brush, parked the mower and hopped on my mountain bike for a quick spin through the several hundred acres of county forest that starts at the end of our block. I keep a short list in my head of potential hikes to do with the kids. Some are hikes I've done before, but others are new to me. Snow Mountain fell into the latter category - I had known of the hike but had always bypassed it for bigger and (supposedly) better mountains. That was my loss, because it turns out that Snow Mountain has a superb view and an interesting trail that ascends alongside and sometimes through a beautiful brook chock full of waterfalls, pools and flumes. Monday night was the first in a series of five 5K trail races hosted by the Saratoga Stryders. Although I intend to run all five races, I don’t expect I’ll post a report after each one – this post is meant as a plug for the upcoming races as much as a report from Monday’s race. 80 to 100 runners typically show up for each race, and it’s about as fun and low-key as a race can be: no chips or bibs, a shouted “GO” for the start, a hand-held stopwatch for timing and numbered popsicle sticks for the finish. Monday evening’s event drew around a hundred runners. I really wanted to hike this weekend. Beth and I had planned to hike Colvin and Blake (two of the peaks Beth needs towards her 46) on Friday, but a dismal weather forecast caused us to scuttle those plans. Saturday was our rain date, but we cancelled that due to… more rain. The weather forecast was better for Sunday but we didn’t have child care, so I pushed for a family hike. Number of ski days – Obviously this is the factor that drives most season pass decisions. Our family will likely ski 20 +/- days at Gore next winter, well above the break-even point of 10-12 days.